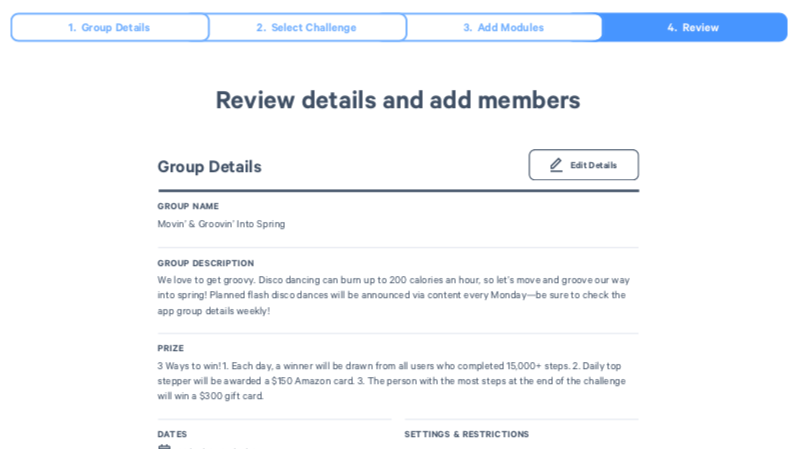 Use this article to help you create a challenge group in MoveSpring. 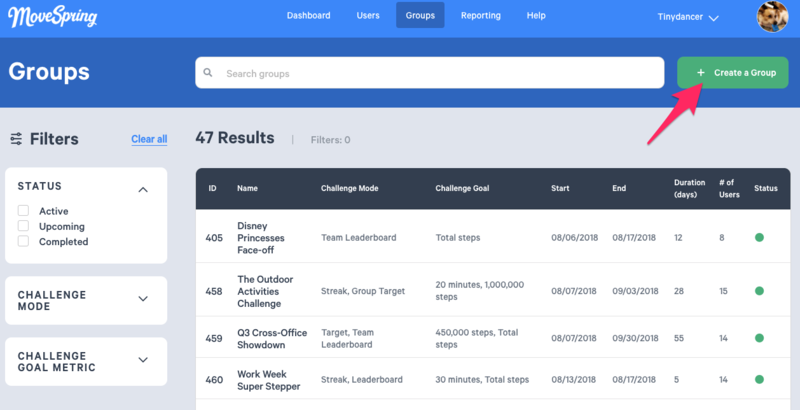 Administrators will create all challenge groups within the admin center. 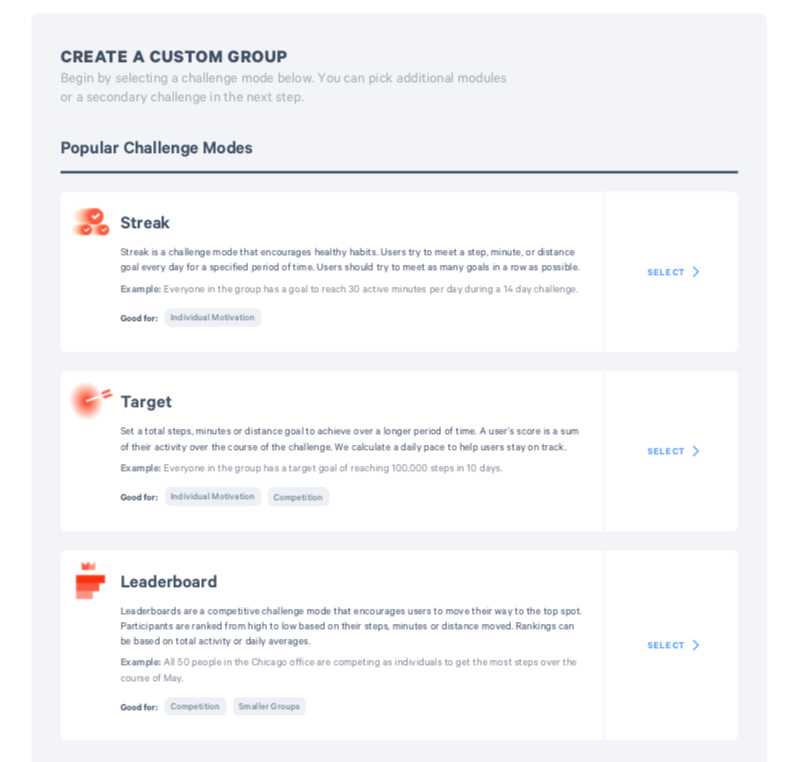 Follow the steps below to create all of your challenge groups. 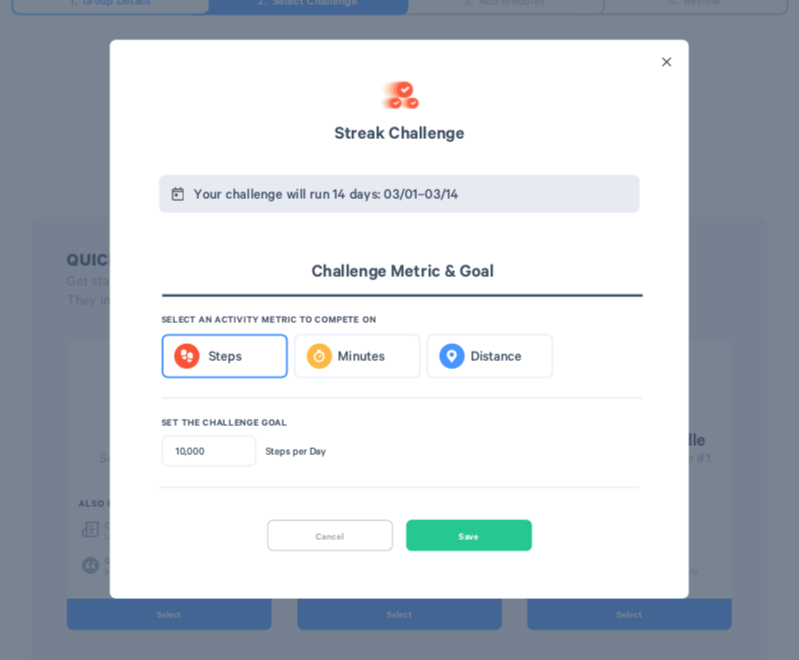 Customize your challenge title, description, and prize! 4. 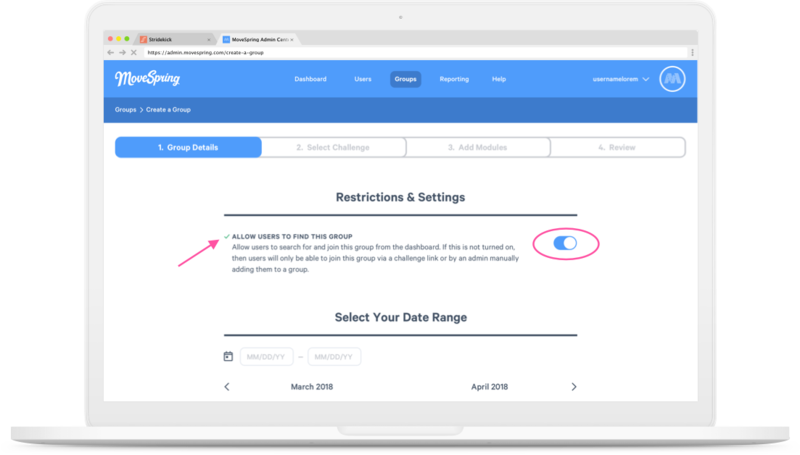 Set your challenge group to public or private. Click on the first date and then the last date of the challenge group. If this is a one day challenge you will need to select the date twice. 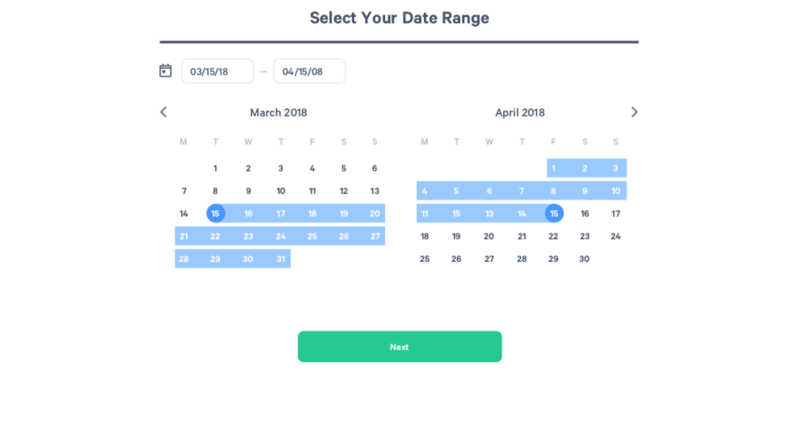 Your duration will appear once dates are selected. 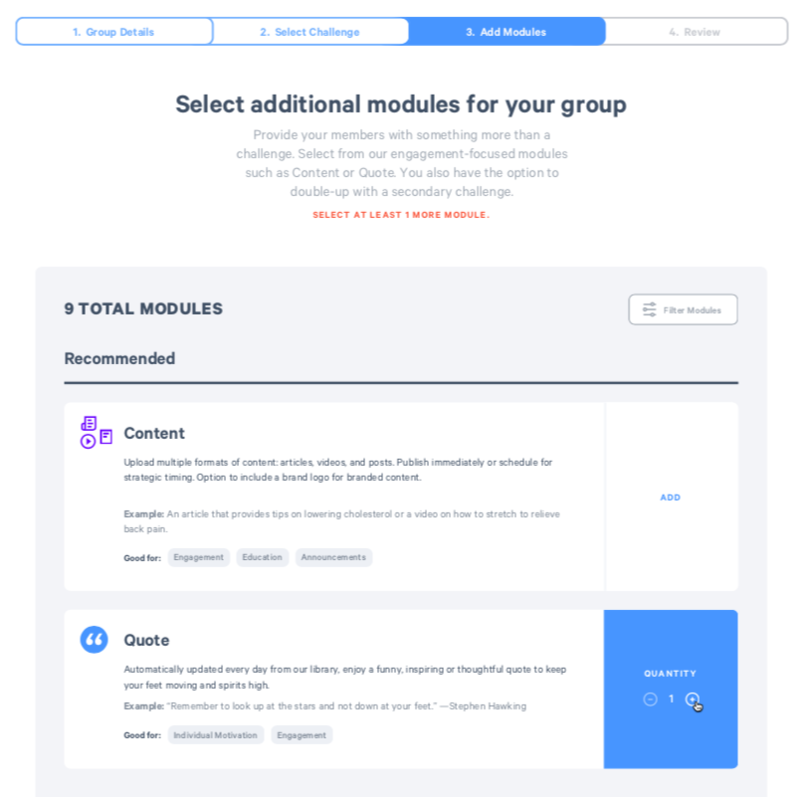 Choose the activity based modules you wish to include in your group based on your plan options. 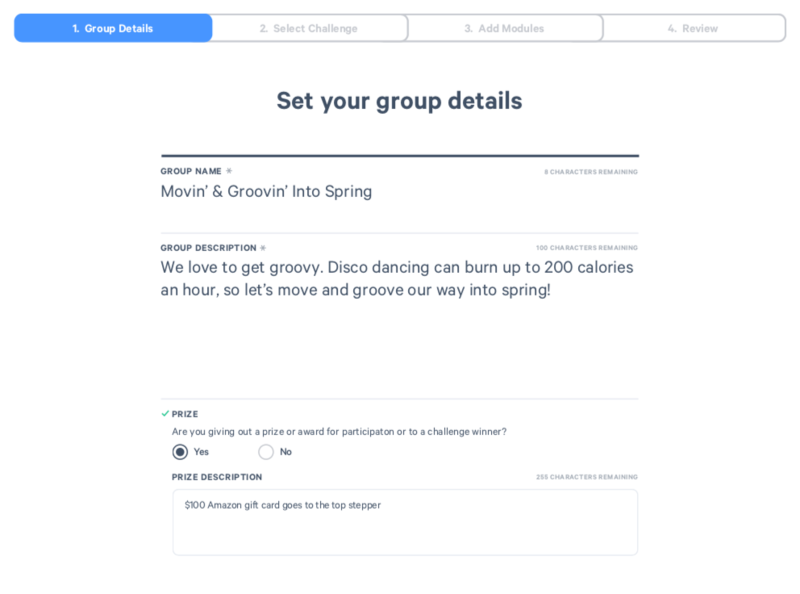 Based on the module you've selected, you'll need to customize your group's goal. You will be able to edit this prior to challenge start. Clients will typically have 1-2 engagement modules within each group. The Essentials Plan does not include the Content module. Edit any information you've input before completing the creation of your group. Your group will immediately be created and placed into the Groups section of your admin center.